fencing, ground works, hard and soft landscaping. Luke has a passion for creating beautiful gardens. From the initial meeting to the completion of your project you will be made to feel comfortable and confident in your choice and with great communication skills, always informed. As well as ensuring your garden renovation is completed to the highest standard, we also endeavour to provide a bespoke service that is tailored to you. With a wealth of experience in landscaping, horticulture and materials, our skilled team capably undertake all projects. 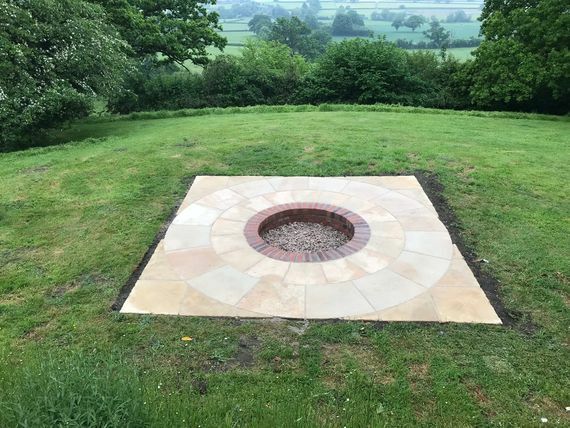 Furthermore, as we are a Bradstone Approved garden and driveway installer, you can be confident that all work will be carried out professionally and to your exact specifications. Bradstone is one of the leading regulators in landscaping, and to become an accreditor of their company, you need to pass a strict selection criteria and assessment process. The assessment consists of checking installations to ensure only the most proficient landscapers are recruited. Here at LG Landscapes, we are proud to be a member of the Bradstone Assured Paving Installer scheme. Contact our professional landscapers in Trowbridge, Wiltshire, to find out more about the range of landscaping services we carry out.